Sony has updated its sensor page and shared the details of a number of new image sensors it's made. Sure enough, a few of them bear a striking resemblance to sensors inside other manufacturers cameras. 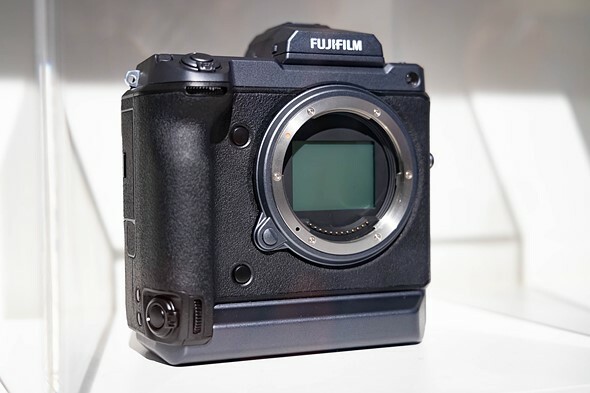 One sensor in particular, a 26-megapixel backside-illuminated (BSI) APS-C chip with product code IMX571, bears an uncanny resemblance to the sensor used inside Fujifilm's X-T3 camera. 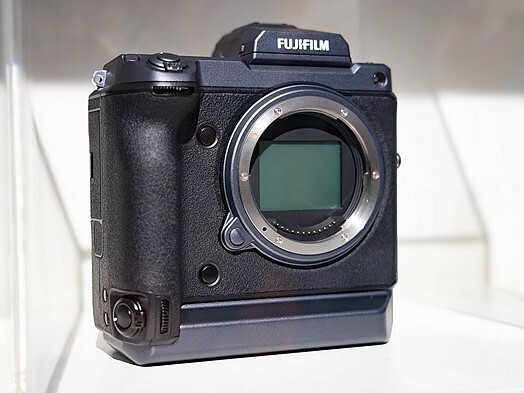 While Fujifilm hasn't confirmed it's a Sony sensor inside the X-T3, General Manager of Fujifilm UK, Theo Georgiades, did say it wasn't a Samsung sensor used inside the camera, as some believed to be the case, leaving little doubt that it was Sony who manufactured the sensor. The specs listed under this image sensor on Sony's website all but confirm that speculation. It's also worth noting that there's a good chance we'll see Sony build something around this sensor as well. The a6300 and a6500 both almost certainly use the same sensor as Fujifilm's X-T2, so it's not a stretch to imagine Sony will be releasing one or two A6000-series cameras using the 26-megapixel BSI image sensor found inside the X-T3. The BSI IMX461 sensor has been in the works for a long time and based on Fujifilm's announcement that it is currently developing a 100-megapixel medium format camera, it's likely this is the sensor that will be inside of it. The sensor has 3.76 micron pixels and features a maximum frame-rate of up to six frames per second. The IMX299 is a bit harder to hit on the head, but based on it being 11-megapixls, having 4.63 micron pixels, and a 60 frames per second readout, it's almost certainly the sensor found inside the Panasonic GH5S. Last but not least is the IMX272. This 20-megapixel Four Thirds-type sensor has 3.3 micron pixels and a maximum readout of 60 frames per second. This has been confirmed by TechInsights to be sensor inside the Panasonic GH5. The Japanese manufacturing is really a cartel ethic, that benefits all the group evenly. They have been very smart in keeping Japanese manufacturing groups doing very well. This was demonstrated in engineering Quote’s internationally. All the tenders knew each other’s quotes, and took it in tern to share the booty. Who gives a sh*t about Sony and who supplies what, Sony is just another component manufacturer. Most products have components supplied by many manufacturers, no one company can make everything it's not cost effective. Even if it's the same Sensor doesn't mean the information is interpreted the same way after softwares implemented. It's like making a cake with and egg and saying all cakes taste the same because the same egg is used, there more to it than that and other ingredients alter the out come. The force is bitter with this one. Frankly it’s in Sony’s best interest to supply manufacturers with a base sensor no matter what format. Sony is obviously making substantial profits from whatever the customer wants. If Sony didn’t supply these customers, where would they be?. Really Sony could be the the majority player, so much so, that if they pulled the rug, many would fall. Sony needs other companies to pay-off their investment in new fab. Other companies need Sony not to be a direct competitor. It's a Japanese camera cartel in disguise. Maybe Richard can answer this. When a sensor shows up in the Sony catalog, it is a Sony designed sensor, and when a sensor does not, it is most likely a sensor designed by someone else but still built by Sony. You've mentioned before Sony builds sensors designed by others that may used IP not owned by Sony. The EM1/2 sensor comes to mind. What I wouldn't give for an iPhone or Google Pixel with an IMX533. 9MP, 1", 63fps, backside illuminated, and the same 3.76 µm pixel pitch as the 100MP medium format sensor (and coincidentally the 26MP APS-C XT3 sensor). I realize it would take quite a camera bump to make that happen, but it would be an instant buy for me. I'm game for that; especially if it was made rugged and didn't require a protective case. Even simple cases often add considerable girth. Sony has been supplying Apple and other phone makers. Unfortunately, it would take a manufacturer brave enough to buck the thinner at all costs design ethos that seems to be ruining a lot of smartphones and computing devices right now. And this matters... not one bit to anyone but fan children and trolls. It matters inasmuch as digital camera have become like computers and Sony has become the Intel equivalent. Buying a Canon camera today is like buying a '98 imac with the PowerPC chip. Of course they are all 'Sony inside'. but Fuji and panasonic somehow manage to make better use of the Sony sensors than Nikon in mirrorless at least judging from the Z7 vs XT3. Maybe even better than Sony themselves. Nikon should be able to reach the level of the a7rIII with the Z7. X-Trans sensor made by Sony? Not that it would be really that important who is manufacturing the sensors. Camera is not sensor and there can be big differences between cameras from different manufacturers even if they used the same sensor. The color filter layer can be changed. It's not really a different sensor. Nikon, Panasonic, Olympus, Fuji, Pentax, Phase One, Hasselblad, and more use Sony sensors. However, few companies like Fuji design their own sensor and then manufactured by Sony. DL87, it seems that Fujifilm only designs the exotic CFA that is attached to the front of the sensor: the electronic parts themselves (the CMOS chips) look to be a standard Sony Semiconductor products, from all the spec matches. Nikon instead sometimes contributes a bit to the design of the CMOS device itself and gets some exclusive sensors: note that some Nikon cameras have sensors with different pixel count/size than any Sony camera (D5, D850, Z7 and maybe the 25MP Z6). Where is the 31 Mpix APS-C IMX342 in this slide? "Last but not least is the IMX272. This 20-megapixel Four Thirds-type sensor has 3.3 micron pixels and a maximum readout of 60 frames per second. This has been confirmed by TechInsights to be sensor inside the Panasonic GH5." The sensor in the Olympus E-M1 MkII is 20MP with a max. frame rate of 60fps. Sony also? Is this also in the Lumix G9 ? Xt-3 is an X-Trans sensor, a6300/6500 are Bayer array sensors. So are you saying the "same" sensor "under" different RGB arrays...or am I missing something? The article states that the a6300 and a6500 both "almost certainly use the same sensor as Fujifilm's X-T2" - not the XT-3. They are suggesting that the sensor in the XT-3 might make an appearance in a . *future* a6xxx-series camera. But that appears to be pure idle speculation on the part of DPR, not offered as fact. No he's not missing anything. Yes it's the same sensor with different RGB filter arrays in top. The X-T2 is advertised as 24.3MP. The X-T3 is advertised as 26.1MP. Both are APS-C. It's also my understanding that the X-T3 sensor is BSI and the X-T2 is not. Among other things, I'd be vaguely curious as to how you think they get an additional ~2MP of resolution by having different filter arrays on top of the same sensor? Silvan: I think you misunderstood. I mean both XT-2 & XT-3 sensors are from Sony, but are different models. While the XT-2 uses the very popular 24mp chip in the A6000/6300/6500/D3500/5600/7200 etc the XT-3 uses the just-released latest APS-C chip from Sony, listed in Sony's catalogue above. I understood perfectly, and stated clearly, that the X-T2 and X-T3 have different sensors. Yes, both are from Sony and both are APS-C, however they are different resolutions and differ in other significant ways. IOW they are *not* simply "the same sensor under different RGB arrays" as suggested by wcan at the top of the thread (and repeated by you subsequently). I don't get what we're in disagreement on? You say they're both made by Sony and that's all I am trying to convey. I might be missing something. Where are the FF sensors that are > than 45 mp? You people are getting excited about the wrong thing. The important question is what is the sensor made with. If it is not indium tin oxide you might as well go back to film. So I was right, we have canon dlsr and mirrorless with canon sensors, than we have Sony with so many different names on the front of the cameras, kinda like AMC with everyone else's parts..
Again, like so many others, you have the relationship between Sony’s sensor mfg. division and cameramakers confused. Is the A7 III sensor more advanced than IMX571? And does X-T3 have an FSI on par with A7III? Both questions point to holding crop sensor tech back to justify full frame. Eh? The A7 iii has a newer sensor than the A7 ii. The output is hardly comparable, especially at higher ISOs. The only thing holding Fujifilm sensor back compared to Sony's full frame is physics. Sony sensors are made by a different company (named Sony) than the company that makes the Sony cameras (also named Sony), both of which are different companies from the company named Sony. The sensor group (named Sony) is only too happy to sell sensors to whatever companies (including one named Sony) who are willing to pay. And then all of those companies named Sony have to report their results that get rolled up into the actual company named Sony. If you've never worked with Japanese conglomerates, you probably won't understand any of this. It's not unique to Japanese conglomerates. Airlines have a separate LLP for every plane in their fleet, so that lawsuits that happen as a result of a crash of one plane can't spread across into assets of the companies owning the other planes. The a7markiii has a totally new sensor compared to the a7 and a7markii. New processor and new AF with more af points on the sensor. Even the 5axis Ibis is new. Someone said a few days ago that Fuji and Panasonic are still working on their organic sensor tech. Someone else also said they where working on a graphene based sensor. Canon has stacked and Bsi sensor patents. And that doesn't mean they won't use Sony sensors. It may probably mean Sony sensors are cheaper. If they can push sensor tech and make better cameras for the consumer means there will be more competition. Without sonys A7 series and technological progress, the camera market would be collapsed 5 years ago, and Nikon would still sell you a D800. Don't have to wish Sony is already concentrating on sensors, so much that they have the industry's best. They Sell cameras just to annoy Canon and Nikon fanboys off. Just to add into this. Without A7 series, Nikon Z6 would sell at $3000 and Z7 at $4000 and all would be super impressed how great those cameras are. That is wrong. Without Sony A7 Nikon would not have released the Z6 and Z7 and we would have to" suffer" using the Nikon D500 and D850. In short, a prefect world! Sony is doing well with camera business. I don't use Sony cameras but I do like what they're doing. Otherwise Canikon would be still concentrating on FF DSLR. At this point I am a heavy Sony user with a commitment to e mount glass. But this does not prevent me from wondering what a better camera design and interface would look like built around their sensors. It seems that the field is wide open, in fact, Sony may be deliberately leaving it open as they are not making the most obvious moves to make their bodies more ergonomic. Camera design is now going to evolve rapidly. I always was of that opinion myself, that Sony was simply showcasing their sensors and trolling Canon. That is until they made the a9 with the 400mm lens. Oh wow you must be so proud of yourself coming up with this huh? Please change your name to Sony Lover. Calling yourself Canon Sharp Shooter would wrongly suggest that you know something about photography! according to the lensrentals teardown, the canon eos-r camera didn't use any weather sealing gaskets on the seams and panels. Meanwhile, you can shoot Canon lenses that will focus even better on Sony than they did on Canon. Therefore, you can finally be a Canon lens sharp shooter on Sony! So the photography industry does what every other industry does...uses parts that are designed and manufactured by other companies. Interesting, but not really something that should drive someone's judgment since it's still the sum of the parts that matters. Then again, the sum of the parts shows up as the image. The image becomes more impressive the better the sensor is, or we'd all be shooting smartphones at this point. @ Autriche78 - yours is the only comment on this thread that makes any actual sense. Sony chips amp glow, banding, black clipping. Some more, some less. The ones without Ram buffer or small Ram buffer and slow readouts heat up fast. Continous shooting is heating the sensor up and degrading IQ. Banding and starbursting are a problem with the consumer ware. A DSLR or mirrorless cannot be properly and actively cooled and the noise level is severe. Much of the circuitry in a cam is there to hide starburst and banding to the consumer. Nikon Z - with a very small buffer - exhibits this problem. Yup everyone should be buying Canon sensors instead. And then there's the 24MP FF BSI IMX410, ten to the dozen the 'Nikon designed' sensor to be found in the upcoming Z6. And, BTW IMX571 is not a 'nickname', it is the official Sony part number. The list is not really Sony 'sharing details' of some of its sensors, this is it's catalogue, meaning that if you want to design a camera, you can go and buy these parts off-the-shelf from Sony. There are also non-catalogue parts such as the IMX309 in the D850 and Z7 - presumably not available in the catalog since Nikon paid for exclusivity for at least a period. Correct. The IMX309 is a catalogue part and Nikon cheapened it with a small ram buffer. Banding is an issue as is starburst. In my eyes a defective product. The 24mb Sony in my D600 heated up so much - impossible to use for long exposures and on warm days. Thats why I kept the D7000 which had much less of that. Which one would be used for the Sony 7R FF variants? For me as an m4/3 user this lineup is really frustrating. None of the 4/3 sensors is backside illuminated, not to mention the lack of the stacked sensor technology. No wonder a RX100 V can outperform a m4/3 camera. It's a bit sad, and I'm a lifelong intermittent olympus user, but I think m43 is over, it's got to rely in new users deliberately choosing the smallest sensor which just doesn't have appeal hence the lack of new products. Its far from the smallest sensor. Its chosen over bigger sensors for kit size and weight. This is a discussion of technology applied to the sensor, not the size of the sensor. Hard to believe M43 vendors will do nothing, just let the system age out of business. Up to the sensor supplier. SONY sold Panasonic a current technology sensor. It seems to be available. Mshot but that's exactly what they're doing. I bet olympus special announcement next year will be the same cameras with an anniversary logo on. That would be a big disappointment. I like the system because I shoot 80-420mm (FF) and like the 40-150F/2.8 + 1.4XTC for that. I can't match the size/weight/cost/performance with any other system. I can move to FF and slower SONY 70-400 glass for this or use a 2XTC, but it wouldn't accomplish anything. Canon R and Nikon Z are too immature. I don't like SONY bodies as much as OMD and I am amazed at the number of complaints I read from SONY owners. It doesn't make sense for Panasonic to abandon M43 when they lead video with it and they share it with only one vendor. In the FF world, its a 5 vendor contest. OLY bodies are due for sensor refresh in 2019 and 2020. If they want to stay in business its a good time to do it. They have to be working on something. Meanwhile the prices are down so its a good time to buy in. New EM-5 MKII + 14-150, all weather sealed for $1,000. Very appealing. Changing systems is expensive. I'd only do it for significant improvement. Using the studio scene comparison tool to view same ISO raws, the RX100 series cameras show both a noisier image and has less detail captured than the MFT cameras. Please can the bunk. I don't think any lab test can replace real world photography where there are so many variables, but in this case, Simon97, it supports what I see. 1" sensor cameras impress me, but I still see better IQ - less noise, more detail, sharper, better subject separation, out of 16MP M43 cameras than I do out of the best 20MP 1" sensor cameras with the naked eye, without pixel peeping. Comparing real world photos is the best test for me. I have this running argument with a SONY RX10 fan where he insists he makes better images with it than can be made with an EM-5 & the 40-150PRO + the TC. The RX10 is probably the best superzoom ever made, but this argument is so much nonsense. The RX10 IQ is nowhere near as good when you don't have to pixel peep to see it. And the thing is a beast & costs $1,700. You can buy an EM-5 MKII bundled with the 14-150 new. Really, I'd love to love a superzoom & would trade everything I have for one, but not one made comes close to making me want do it. "As Panasonic is moving to full frame, with that Leica-Sigma-Panasonic alliance that looks strong, m4/3 is loosing ground..."
Not sure we can conclude that m43 is on its way out from this. Panasonic is simply expanding into full frame. It isn't an either/or situation. In many ways, if Panasonic are successful in full frame then that may mean more resources for m43 not less. Personally I think m43 is a great system and I hope it sticks around. I do think a lot of m43 kit has been a bit overpriced though. It hasn't generally been any cheaper than equivalent APS-C kit. EM-5 MKII + 14-150 is $1,000 new, right now. Great f/1,8 prime selection for a few hundred dollars each. Add a 17mm f/1.8 prime for $300 and you can do a lot wiht this kit. Quality body and lens, both weather sealed, no widespread quality problems reported, lots of features and functions, some not found in any ASP-C camera. 26 ounces, compact. Its lighter and smaller, more portable than any ASP-C kit with 28-300mm range, and as good as all but the best ASP-C sensors. I think ASP-C has lost value. Go for M43 for size/weight, FF for image quality. Not much difference in IQ between ASP-C and M43, but lots of size/weight difference comparing model for model. And great native prime and PRO lens selection in M43. Most versatile system. Not the best at anything maybe, but very good for almost everything in a reduced size/weight package, and certainly not expensive for what you can do with it. FF and u4/3 are different formats as FF to medium format. Each system has its benefits and drawbacks. Once using APSC DSLRs, I was happy to switch to u4/3. The gear is so much more easy to tote around and I don't feel I lost image quality. In fact, I think the lenses are better which helped to mitigate the smaller sensor. $600 for 24-300 range two lens kit. Compares well with entry level ASP-C DSLRs with old, old sensors and not the features/functions of mirrorless. As good or better. Many M43 lenses are designed to be shot wide open. It works because DOF is deeper than ASP-C. You can keep more of the composition in focus with a bigger aperture. If you have to stop the ASP-C lens down, but not the M43 lens, you lose the light gathering & shallower DOF of the larger sensor. This I think is one of the reasons M43 can perform with ASP-C when using a constant f/2.8 zoom on M43 vs. an f/3.5-5.6 on ASP-C for example. This is how M43 vendors migrated technology to compete with larger sensor cameras. They did it with the lenses. ASP-C lenses were not designed to be super compact. They didn't need to be to offer size/weight advantages over FF kits for the same focal length. They were designed to be stopped down to sharpen the images and produce more DOF. One system uses a bigger sensor, the other uses faster glass shot wide open to accomplish the same result, the difference being M43 is more compact and lighter. Yes, that's right, so all the M43 bodies can be upgraded. OLY said they considered it, but the IQ improvement wasn't worth the additional cost - at the time. Doesn't seem like you would see any improvement except in lab tests. If true, I'd take the lower price, or just shoot what I have unless/until I see something worth spending money on. I guess that in any cam's manufacturer product at least the 40% is outsourced. The era a bunch of guys were doing something in their lab and backyard has gone. I hate APSC dynamic range. The Xtrans debate is over with-they've clearly fixed any troubles it had (my own shooting, two Xtrans fringe pics out of ten thousand plus shots with 16Mpixel versions of that sensor) and I don't think Sony has room to talk about battery life or overheating. "they've clearly fixed any troubles it had"
Then why is detail still blurry? A7 III added just because it's been criticized for using a softer lens (Sony 85/1.8). X-T2 to show the lack of progress in the X-T3. What a shock.. the higher resolution sensor FF camera is a little bit sharper. But I wouldn't exactly call the Fuji shots blurry. You can still make out the individual hairs in the guy's beard. Yeah, his studio test shot snapshots all had the A7III which is full frame. The difference between it and the APS crowd is noticeable, although not by as much as you'd think. I thought that was the comparison he was trying to make, as the A6x00 tests out as not much different from the Fuji. Hmmm, guess I'm just one reply off of a "NO, MY CAMERA IS PRETTIER!!!" reply. Never argue facts with Fuji fanboys. They just ignore everything. If it's CMOS, It's Sony one way or another. Even Samsung and TowerJazz sensors are based on Sony's patent portfolio (tech like BSI, stacked CMOS, ets). It well be interesting to see Sony's own APSC based on X-T3 sensor tho, current Bionz X architecture is agruably the most powerful in the industry. There's a lot of cross-licensing going on behind the scenes, and it goes the other way too. I read somewhere that the dual gain tech used by Sony is licensed from Aptina, for example. In terms of intellectual property, I don't think we can just assume that all Sony sensors are pure Sony, while all other companies' sensors are also mostly Sony. Reality is more complicated than that. Samsung demonstrated that they could make better sensors than Sony if they wanted to (NX series). No one else can though. Yes, Samsung demonstrated both the technology (sensor) and its application (camera) but at what cost and can they sustain/stay in business in the question. I always thought that they should have stayed in business to keep Sony from becoming a monopoly. Sony makes Fuji film sensors with some soft specifications. That's common knowledge. No brainier. Coca Cola makes Fanta too. Foxconn makes IPhones. So what? We all know that these sensors are not produced in a Fuji factory. No mention of the current 50mpx MF offerings? Good point; either it is discontinued in favor of the new 100MP 44x33 sensor, or just down-graded to meeting current contracts with Fujifilm and Hasselblad but not seeking new customers. The current 50MP MF sensor is quite old. One of the reasons Fuji can sell their cameras cheap. I believe it debuted on the Pentax 645Z DSLR in 2014. That's why current FF are so close in image quality. Once the next generation MF comes out, prepare for a large jump in IQ. And how about the 47mpx FF? The sensel pitch for the 24mpx vs 100mpx seems quite interesting, btw. "And how about the 47mpx FF?" Confirmation that some sensors manufactured by Sony Semiconductor Solutions are joint projects with particular camera makers (mostly either Sony Imaging or Nikon), not available for sale off-the-shelf — or at least not until a period of exclusivity has ended. I will avoid the debate about how much or how little partners like Nikon contribute to the design of those "bespoke" sensors. Aside: for the same reason, I would not completely rule out there being other 4/3" format sensors forthcoming but currently exclusive to Olympus and/or Panasonic; some items market "New" here look to be just newly released for general sale, though they have been in cameras for a while, like the IMX272 in last years's Panasonic GH5. "so it's not a stretch to imagine Sony will be releasing one or two A600-series cameras using the 26-megapixel BSI image sensor found inside the X-T3." A600 series aps-c with A7 series type body. Dpreview just spilled the beans. ND-agreement violated. It is just a matter of taste. Both Sony and Fuji crop cameras seem to be covered pretty well with lenses and features. Its just the matter of personl taste. I prefer Fuji for its jpegs. Makes fiddling with RAWs unnecessary most of the times. What is the benefit of buying an APS-C body, to use it with FF lenses ? Smaller body cost, size and weight ? The more FF lenses you own and carry, particularly if a big tele lens is part of the kit, the less the differences in cost, size and weight of the APS-C body are significant. It is even a disadvantage to have a small body attached to a big lens in terms of handling. I personally would never invest in a new APS-C system only because a lot of good FF lenses can be used with it. But, instead, because a large bunch of good APS-C lenses are available. @ Karroly: Did you not reat what I wrote: If you are planning to upgrade to full frame, or use both formats. Also, full frame lenses work just as fine on aps-cameras as on full frame cameras. If not, there are nice aps-c lenses too for the Sony E mount, some labeled Sony, and many from third party lens makers, like Zeiss, Sigma, Samyang, Fuji (video lenses), and many others. Or you could go for Fuji or other aps-c cameras. If you use a 100-400 mm lens at 400 mm on a 24-26 Mp Fuji, or a 42 Mp Sony full frame, fine detail resolution is about the same when camera to subject distance is equal. A tad less with the Sony. The key here is pixel pitch. If you can get closer, so that the subject fills more than the aps-c format, the high Mp full frame camera will always win. "they don't have enough, a great lenses line-up just like Fujifilm for APS-C."
Using third party lenses you can get from 12mm to 600mm in e-mount eps-c without adaptors. A notable omission is a fast standard zoom - but that will come with the A9000 - or whatever it's called. Likely the first G Master aps-c lens. "If you use a 100-400 mm lens at 400 mm on a 24-26 Mp Fuji, or a 42 Mp Sony full frame, fine detail resolution is about the same when camera to subject distance is equal." Nope. For 24, you'd need somewhere around 55MP to be able to have a crop mode with 24MP. Right now, they're only at 18MP, so a loss of 25% resolution. So for m43 nothing new is on the horizon. Not that I expect much from BSI but can anyone tell us why we have it in Sony 1", in Sony APS-c and FF sensors (in most cases for years) but somehow is not introduced into 4/3 sensors??? Nothing new was on the horizon for Fuji APS-C before the X-T3 was announced/leaked. Huh? You just got the confirmation* that the sensor in GH5s is BSI. But did that change anything? As for why more 4/3 sensor are not BSI, maybe it's got something to do with compromises? It's a bit disappointing that 11mp sensor isn't faster than a 20mp sensor. The only other 20mp sensor that comes close in readout speed is stacked BSI. So while I have no idea if the BSI vs FSI plays a role in this, it's a bit weird that there are no BSI sensors of similar resolution that would be as fast. The full story with respect to Four Thirds is more interesting. It does look to be the case that Sony has adopted Four Thirds as one of its stock sensor sizes. The sensors talked about here are just its 'sensors for camera' catalogue. It's 'sensor for industry' catalogue has Four Thirds sensors in for the first time, the 20MP IMX367 and the 17MP IMX387, both with global shutter - I'm expecting they will be found in many video cameras. At also has a 32MP APS-C part, the IMX342, also with a global shutter, presumably for 8k video. Another reminder why Sony is much more ahead in the business and how they have secured themselves for the future. Not only iPhones, Nikons, Fujis, Pentaxs, Hassys and Leicas perhaps Canon should also join the wagon if they want to give up continue designing sensors that belong to 5 years ago. Or someone reincarnate Samsung sensor production and take it from their as a decent alternative. Competition is better on the market than one single vendor. And there are better sensors on the market than Sony provides, sadly they are from Black Magic or Alexa and very expensive. I think Sony made quite a leap after buying Toshiba, so I think they got quite a few good engineers from them. You might wanna see what the sensor in the Sony Venice can do compared to Alexa. Why do Sony fanatics feel the pressure to be enemy of other brands? I mean, liking one brand is one thing but trying to show others as "bad, horrible, already dead" in every topic is a psychological disorder. Blackmagic uses CMOSIS sensors, the same company that supplies Leica. Their sensors, similar to the Alexa sensors don't perform well at all, if we talk about classical DR, and noise comparisons. But in cinema camera sensor "performance" is not that important, they are not used at high ISOs and DPs chose cameras much more based on color workflow, reliability, lens selection, etc... for example. Some people never grow out of a juvenile need for validation. Whether it is their favored sports team or product brand or religion, they seek to elevate themselves, relatively, by lowering others. I ddo not see huge difference between XT2 and XT3's sensor performance. Is the only difference speed then? It is a little worse form what I have seen at higher ISO's. Better high ISO noise in the dark (where you need it). Worse high ISO noise in daylight (where you don't). Sony only made one copper wiring sensor. It was made specifically for cooling the A6300, as copper transfers heat faster than aluminum. An added benefit is a pseudo-BSI IQ improvement, as copper wiring can be produced thinner than aluminum, reducing the size of the front-mounted electronics. This info will totally change my purchasing decisions. Free economy, without protection and rules, soon or later, cannibalize the small companies. Now only few companies survived. Yes, a few smug smiles will be wiped off faces, including that fat, bald, tattooed charlatan on YouTube. That sweating greek? Very likely. But he is resistant to arguments, so, no, he will continue with his daily self-regulating community. Nah. Even as a Fujiuser I would find him very arrogant and not funny anymore... but I like Kay Wong. He is honest to any vendor, but still can be smart and has no prejudices like the big fat greek zealot. The article has been corrected with this information. Thank you! Canon is the only one who develops their sensors in house among the big boys. Ok, I didn't know that and that explains a lot why Canon is so far behind now. It's like Intel vs Motorola in the 1990's processor wars. And for those of you who don't know what that was about Motorola stuck to their ageing 68000 design while it got stomped on by Intel, that put out innovation after innovation. We're witnessing the downfall of a camera giant. I am not sure if Canon was the first few that moved to develop large size CMOS for DSLR, but this move seemed to inspire others to follow suit. Their sensors may be behind Sony, but there is a contribution to the on going sensor development we are using now. Sigma lenses used to be many years behind and was once a laughing stock, but no one is laughing now. Somewhere in the near future there will be a new small company, or even Canon, building something totally fancy new and the marketleaders will be way behind. It's always like that. I think Samsung could have been that one but they left the cameramarket, their smartphonesensors are better than Sonys in my opinion. @vscd - "Somewhere in the near future there will be a new small company, or even Canon, building something totally fancy new and the marketleaders will be way behind." Doubt it. Image sensor design and fabrication isn't something that just anyone can do. There's a lot of overhead and infrastructure involved. R&D costs are high. You can't just start making image sensors out of your garage. Besides, even if this "new small company" did come along with something "totally fancy," I see Sony just buying them up. Sony has plenty of money. Sony bought Toshiba's image sensor business in 2015, basically buying out a competitor. So if Sony saw some new, exciting technology coming along from some small company, I think they'd certainly try to buy it. In 2012, Sony invested $642 million into Olympus, becoming majority shareholder. They sold off half their shares in 2015, but not before getting 5-axis IBIS. If being "five years behind" in sensor tech is such a big problem, then someone must explain why Canon still is the market leader, and by a very large margin. Obviously, having the latest and greatest sensor doesn't matter that much when all sensors made today exceed the needs of most customers. Flip was a market leader in video cameras with, I kid you not, 99% market share..... But they couldn't make money or compete against the rise of the cellphone. Thez are not the only ones designing them. Who will manufacture them is the question. Market leader means a lot, which is why all these companies are competing for market share. The larger your customer base is, the larger is the potential for long-term revenue. It's quite interesting how market share means nothing when it's owned by Canon, but when Sony makes its announcements about being #1 in this or that sub-market, it seems to mean a lot. Also, I don't see the logic in saying that having a large market share now means nothing, just because it's possible to lose it in the future. We all know that being a market leader doesn't last forever, but that doesn't diminish the current achievement in any way. The fact that Canon has been selling more cameras than anyone else during most of the digital age, despite the constant complaints in forums about lagging behind in sensor tech, just goes to show that most consumers aren't making purchasing decisions based on sensor tech. That's not the case. Nikon also develops sensors in-house, just not all its sensors. The Nikon fanatics like to claim all of the Nikon sensors are Nikon developed, the Canon fanatics that none of them is. The truth is in-between. @Marty4650 - "then someone must explain why Canon still is the market leader, and by a very large margin." As for leading the market in technology and performance, let's look at Canon's last two introductions: 6DII and EOS R. Both are lackluster introductions, in technology and in sales. Definitely not market-leading on either count. The 6DII is #54 on Amazon, EOS R isn't in the top 100. In comparison, A7III is at #4. @Revenant - "It's quite interesting how market share means nothing when it's owned by Canon, but when Sony makes its announcements about being #1 in this or that sub-market, it seems to mean a lot." Why is this important? Because the higher end FF market is more profitable and generates more revenue. Additionally, higher end buyers are more likely to be more serious users who are more informed and who will buy more lenses. And if you win (or lose) the high end market, you'll likely eventually win (or lose) the low-end too because there's a trickle-down effect. Doesn’t matter if the quantity is mostly entry-level DSLRs. @Anders_C_Madsen - Actually, the second part of the definition is "of a particular type of product." That's where you can parse out the market. You can get more specific about the "particular type of product." In the case of cameras, it could be the FF market, or the mirrorless market, or the FF mirrorless market. Being more specific paints a better picture. For example, is Canon the king of selling mostly cheap low-end DSLRs? That would kind of make them the McDonald's of cameras. That's why it's important to see which "particular products" are selling well. It paints a better picture. So selling the "largest quantity" can be deceptive if that's all you look at. Somebody should have made the distinction between "develops' and 'manufactures'. For beavertown; Canon was cutting edge pushing CMOS early in the digital era when most others were CCD. Canon was quite innovative as they had been for decades with things like USM AF motors, IS lenses, Flourite glass, molded aspherics, etc. Unfortunately with the exception of dual pixel Canon stopped innovating several years ago and sensor technology has moved on without them. Canon's latest sensor technology is top notch. In the models where they've moved the ADC on-chip, the sensor quality is pretty much similar to Sonys. Sub 1 Stop less shadow DR but adds dual pixel AF technology. A fair trade. Hey, let us in on the joke. What is bad about Canon sensors in their latest line up? (200D, 800D, 80D, 5DIV, 1DXII)? Enlighten us. Guys, "latest sensor technology" now also includes autofocus performance. We are leaving the days when "latest sensor technology" *only* pertains to image quality. But as for image quality, yes, Canon is trailing with their latest sensor in the EOS R. Consider dynamic range of the EOS R vs Z7 vs A7R III: "At ISO 100, the Sony a7R III has a Photographic Dynamic Range (PDR) of 11.64, the Nikon Z7 is 10.98, and the Canon EOS R is in last with 10.6...At base ISO, Canon’s EOS R (10.6) is closer in dynamic range performance to the APS-C Sony a6500 (10.31) than to the full-frame Sony a7R III (11.64)." T3, what is the average or even above average photographer going to do with that extra stop? Hint: hardly anything. @Rick Knepper - Right, no one wants an extra stop of DR. Seriously? Besides, DR is just *one* shortcoming of Canon's EOS R. You could also say "What is the average or even above average photographer going to do with...IBIS, higher burst rate with continuous AF, longer battery life, reliable continuous AF, eye AF in continuous mode, dual card slots. Hint: hardly anything." You can make that argument with any feature or spec. It's a great justification for manufacturers to deliver less, rather than delivering more. But getting back to DR, yes, an extra stop of DR is valuable. When you need it, you're glad you have it. Many people move up from APS-C to FF for extra DR. It's certainly a consideration for those who are spending the extra money to move up to FF. Sure, I want all the DR available in case I ever need a shot with a light bulb 3 inches from the lens but my average landscape does not require 10.6 stops much less 11.64. As for the rest of the junk you just named, dump it in the trash and give me a clean 100 MP sensor. So the extra stop of shadow pushability makes Canon's sensor design old and antiqued and terrible as mentioned above? No, there's more than DR (of which Canon sensors have a lot! ), there's resolution/sharpness, there's lowlight performance, there's colour performance, on-sensor Autofocus performance, and Canon sensor excell at all of that. DPAF for an extra stop of DR is a fair trade for Canon as not being behind the competition. And their DPAF APS-C chips don't even make that trade. That is an astronomical amount of money. In the next few years, Sony sensors will increase their performance advantage over Canon sensors, which will have as significant impact in the performance of their mirrorless cameras compared to Canon's mirrorless bodies. But even now, we are already seeing a gap! You have to define "best sensors". Some people would replace a Sonysensor without DPAF anytime for the last stop of DR. Other think DR is the most important thing. Other DPAF. For me both things don't matter because I need no video at all and the DR of my cam is plenty enough. There is no such thing as "best sensor", it's only a good sesnsor for a specific job... I would go to blackmagic for video. Never for Sony. Would I like to use the blackmagic for still images in fashion photography? Never. Apart from that there is soooo much more to a cam than the sensor.... just ask how well the EOS-R is working in the hands of people who actually tried it. At least I know some who were impressed by it. They didn't even read the specs, because what they need is the same since a few years... no 4K. Just good glass on a (reasonable) good sensor. Only one of 5-6 colleagues from Reuters, AP, DPA I'm in friendship with changed to Sony. As second cam to a 5DSR. I just don't agree that a sensor without DPAF with a stop of extra shadow detail is better than one with DPAF. No gap there in sensor design, just a trade off of priorities. And why did samsung pull out of the large-chip sensor manufacturing when they were clearly the only rival that can beat Sony? They could have kept the option to create off-the-shelf sensors. I mean Samsung had, 5 years back, a back illuminated 30.3mp APS-C chip (28mp effective) that could do a 240fps readout at FULL resolution, with immemse DR & noise performance. I bet Fuji would have picked that chip had it been available at a competetive price package. I bet Nikon would also be interested in upgrading their APS-C line to 28mp. Also huge potential customers in the cinema market, where it's an amazing S35 7K 240p chip. Huge potential wasted by savage corporate structuring. The ILC camera sensor market is peanuts compared to the smartphone image sensor market or other industries such as automotive image sensors. Think of how many smartphones and cars are sold compared to ILC's! The automotive image sensor market is growing, while the ILC market is shrinking. But even it it weren't shrinking, it's still a small market compared to smartphones and automotive. That's why Samsung would rather make sensors for smartphones and automotive rather than ILC. Global smartphone shipments hit 1.55 Billion Units in 2017. And the cars and smartphones users aren't that fussy either. 240fps? I seriously doubt that. What is your source for the number? I can imagine the heat from all the processing required would be quite considerable though, not to mention having a card fast enough to record it all. The Samsung NX1 sensor was already easily surpassed in IQ by the last generation of Sony APS-C sensors. Now it falls behind even further with the X-T3, and the eventual Sony APS-C that will have even better image quality than the Fuji. Many companies in all industries design items and have them made by contractors. It's normal. @cosmicnode - But a lot still depends on the expertise of the "contractors". For example, if you hire someone to build your house, you can "design" it in the general sense (ie, how many rooms, how big you want the rooms, where you want the closets, etc), but you still depend heavily on the expertise of the contractors to work out the fine details (plumbing, electrical, air conditioning ducts, building codes, etc). Or it could be like buying a pre-designed house, but you have the ability to add some "upgrades" and custom options to the house. I'd love to know how much of the sensor is really "designed" by the camera manufacturers vs how much is already preset and established by Sony. I would guess that a lot of it is already preset and pre-designed by Sony. @T3 No I have worked in industry, contractors are supplied with the full design drawings and manufacture the item to specific spesifications, not a all like your exampe of a house. Take the actual magnesium body used on most top cameras, do you think Sony. Nikon, Canon each have a foundry and a full machine shop to cast and machine the finished body, these are designed by the camera body designers, and produced using the expertise of the contractor, the contractor and camera designers will work together to design a sensor that is capable of being produced. @cosmicnode - Having a contractor cast your body shells for you is a lot more simple than designing an image sensor. Image sensors are hugely more complicated and complex to design. 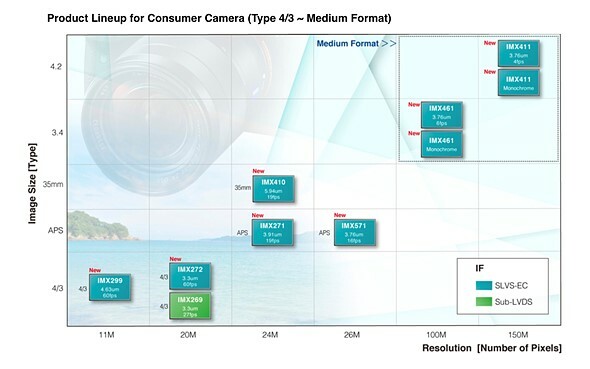 It seems increasingly clear (at least from the article and other evidence that people have dug up) that camera manufacturers are selecting from a selection of pre-designed sensors on which they may be adding some customization and tweaks. Sensor manufacturing (and semiconductors in general to a lesser degree) are almost entirely dependent on the 'contractor' and their technology. There's not much designing that the camera companies can do. CFA, the number of pdaf pixels, microlenses, aa filter, ir filter, pixel size between some limits - they can change these, but not the underlying tech. I've learned that Nikon does get way more involved with Sony's sensor designs in some of their cameras while in others it's an almost off-the-shelf buy when they believe it's a good-enough design. When Chuck Westfal (May his sould be blessed) was asked on the Sony 1" G7x chip, he said: "Canon will always use the best possible sensor available on the market at any given moment". It makes you wonder why Canon doesn't simply lift off the Sony sensor (even the old 36mp is superior to Canon's current FF offerings) and save the R&D costs in manufacturing a sensor. Perhaps they want to retain a marketing position in the semi-conductor arena? Or they're really capitalizing on the DPAF technology as the core of their cameras? IMX272 already confirmed from GH5 in teardown. Beat me to it. DP Review needs to correct their article. I've already seen someone in the MFT forums misled by this article to believe the IMX272 is a new sensor unused in any camera yet. Thanks, SHood! The article has been corrected with this information. Strange to see Sony sensors in Panasonics; I thought Panasonic made their own sensors and was pretty serious about that...? I think Sony's been doing a great job, but it's a bit sad to see they have so little competition. Aside from manufacturing costs/break-evens, patent concerns/realities might have influenced Panasonic’s decision. Is anyone saying Sony produces the best sensors in their price range (read out speed, DR, well capacity etc)? Panasonic has been using their own MN34230 sensor (or similar) in their 16MP cameras (G85 and GX85 being the latest models), but they haven't created a new sensor (I believe that sensor came out with GX7 in 2013). All their most recent cameras use Sony sensors. Panasonic tend to flip between their and Sony sensors. I have owned 4 Panasonic m43 cameras, two with Panasonic (GF1, GH4) sensors and two with Sony (GH3, GH5). Then why do camera manufacturers always insist on the sensor being their own? It's like a childish play. Whenever I talk to any responsible figure in a camera manufacturer, the moment you mention sensor origin, they act as if it were a freaking military secret! I think it's an issue of pride. The image sensor is, figuratively, the heart of a digital camera, and they don't want to admit that they are buying the heart of their camera from someone else. It's not an issue of pride, it's an issue of not letting a competitor control a core part of your tech, even though technically, there are many practical walls, checks and balances in place to make sure Sony the camera maker and Sony the chipmaker are 2 different entities. @wy2lam - The question was, why don't camera manufacturers just tell us the origin of their sensors? And yes, I think it really is an issue of pride. It's not a point of pride for a camera manufacturer to come right out and say, "We buy our sensors from Sony" because it signals a lack of autonomy and a certain dependence on Sony-- especially for such a core component of the camera. It's funny, because many smartphone and other camera-related product manufacturers (action cams, dash cams, backup cams, etc.) will brag about using Sony or Samsung sensors in their products. @T3: Why does it need to be pride, do you work for them? I think it's more fun to let the rumours fly and let people who want to take things apart figure out on their own. I find my hypothesis easier to reason than some mysterious "pride" of a profit-making entity. I think it's very reasonable to think pride is involved since Sony is a direct competitor to these companies. @Ebrahim Saadawi - Yes, well said. It's like if Toyota said that their car engines were bought from Honda, or vice versa. The car manufacturers want to be able to say that they make their own engines. Or at least have people think that is the case. The same applies to image sensors in cameras. Wow. the Sony BSI IMX461 sensor in the 100MP Fujifilm GFX should make approximately 29"x39" prints (with 300 ppi files). That's even larger than the size of a large movie poster (24"x36"). $10K for the camera is a bargain.... all things considered. They're both FSI sensors, plus not that new. Pretty sure Sony will use BSI in new cameras (e.g. IMX571). Also no way are they going m43. I thought it was confirmed that the IMX272 is in the GH5 and G9. The Olympus Em1 mk2 has been confirmed to have the IMX270. The IMX269 is in the GX8, Pen-f and YiMi cameras. It may also be inside the recent Gx9. The harder one to track down is if the IMX159 is in the G85 and Gx85 or if the Panasonic MN34230 was used. I think it may be the Sony one. The Sony sensor is used in the recent 2 recent Olympus cameras and Z camera. The Panasonic MN34230 is confirmed in the Olympus Em1, GH4, Zwo asi1600 and Z camera e1. Don't know of any others. The IMX299, I also thought was confirmed in the GH5s as being the first use of a BSI sensor in a M43rds body. You seem to follow the topic closely. Do you know what accounts for the comparatively strong performance of the E-M1 Mark II on the DxOMark graphs? The G85 and GX85 almost certainly use MN34230 or a similar Panasonic sensor. The easiest way is to tell the length of the bulb mode. Panasonic sensors are limited to around 2 minutes, the Sony ones are around 30 minutes. The long shutter noise of the Panasonic sensors are drastically worse. You have some of that mixed up. The Panasonic MN34230 is capable of max bulb setting of 33 minutes. Thus why used in the Astrophotography camera, the ZWO ASI1600. Olympus default has been shutter speed of 60 sec in main settings since at least the E3. So not a good marker. A better marker is active pixel areas, which can be hard to track down as many websites have gotten lazy and just copy and paste old specs. The ones I list as confirmed are by chipworks, whom xray the sensors and compare to sensor patents. Some think the GM1 and GM5 sensors are the MN34230, but I don't think so. My Gm5 has better higher noise character than my Em1. Eluding to being the IMX109. As for DXO, when they test 10 cameras and then compare the data, then I will believe the data. N=1, not sure of any difference unless more than 1, of there displayed units. The GH4 seems the odd one out, it may be they allow that setting regardless of the noise created. In the other MN34230 confirmed camera (E-M1) it's known for its horrible long exposure noise. The G85 and GX85 are similarly bad (and Panasonic limits those to 2 minute exposures). All the confirmed Sony sensor cameras have drastically lower noise for long exposure. I'm talking specifically about long exposure noise for exposures well over 1 minute. The EM1 which is confirmed to use the MN34230 is notoriously bad for this compared to the EM5 (which was confirmed by chipworks to use a Sony IMX109). Although EM1, like GH4 appears to allow longer bulb times than 2 minute. You will note that all the following 16MP Panasonic cameras have 2 minute limits: GX1, GX7, GX85, G85 (I may be missing some, these are just the ones I'm aware of). GM1 and GM5 appear to limit it to 1 minute. The GH4 pointed out above seems to be the odd one out (reading the below thread it may have to do with cooling for 4K and it not having IBIS). I know the GX7 and GX85 is known to have similar long exposure noise issues as E-M1 (lots of hot pixels).